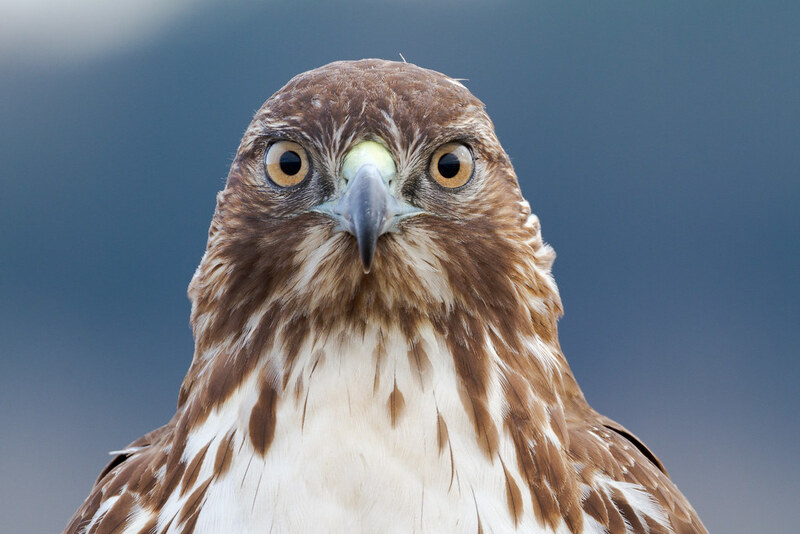 A juvenile red-tailed hawk perches along the auto tour at Ridgefield National Wildlife Refuge in 2010. We have redtails here in Arizona but I don’t get to see them up close like this anymore. Even at Ridgefield it seemed like in the later years I no longer saw them perching so close, so often, although I could still see them nearby in the meadows. Bitterns can look like a football with a head attached so it always amazed me when they’d stand and stretch their necks up, and up, and up. Useful for seeing over tall grasses and also as a defensive pose, I saw them do it multiple times when bald eagles soared high overhead, although the subterfuge worked best when the grasses were brown instead of green. I was never quite sure how they distinguished the distant eagles from other birds of prey but I did a quick check of the skies if a bittern I had been watching suddenly struck a thin vertical pose. 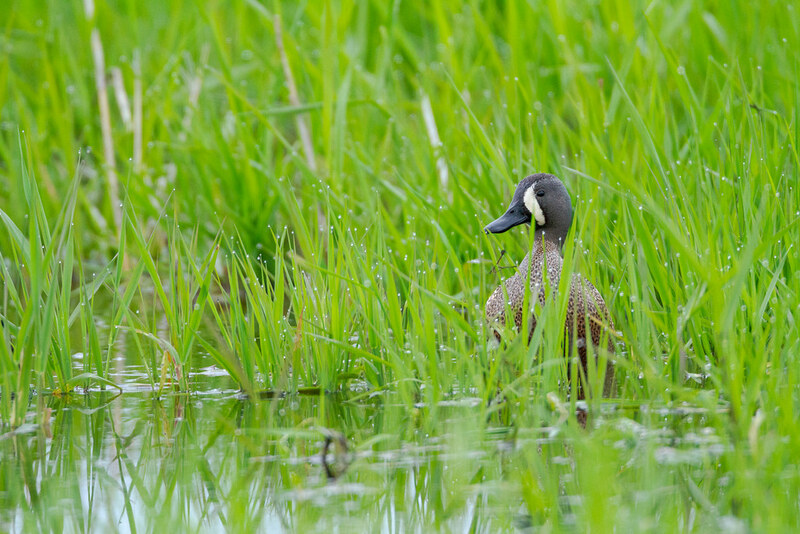 Green-winged and cinnamon teal were easy to see at Ridgefield but not so the blue-wings, so it was a special treat to find this lovely fellow in the dew-topped grasses growing in Horse Lake early on a spring morning in 2011. I spent the day at the little refuge, arriving at 6:30am and leaving at 5:30pm. 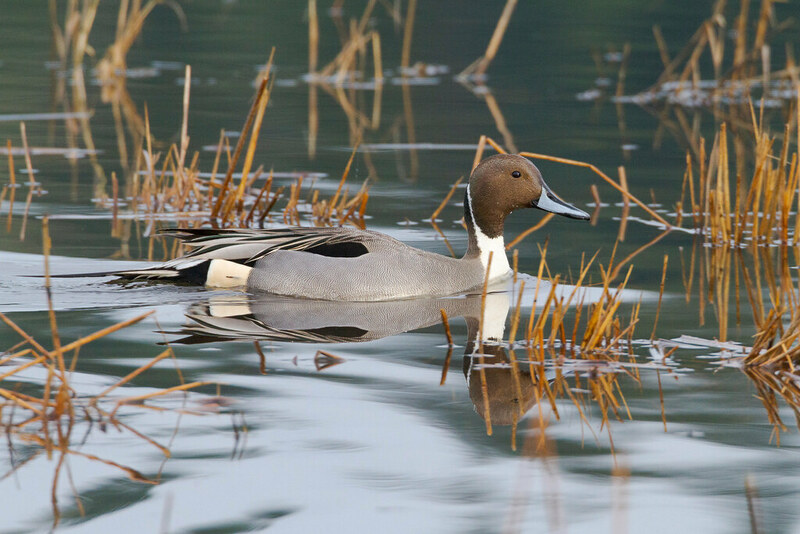 After moving to Arizona I have fallen in love with having a swimming pool in the backyard, swimming has become second only to hiking as my favorite way to exercise in the summer heat, even though I’ll never look as lovely in the water as this northern pintail swimming in Ruddy Lake at Ridgefield National Wildlife Refuge. 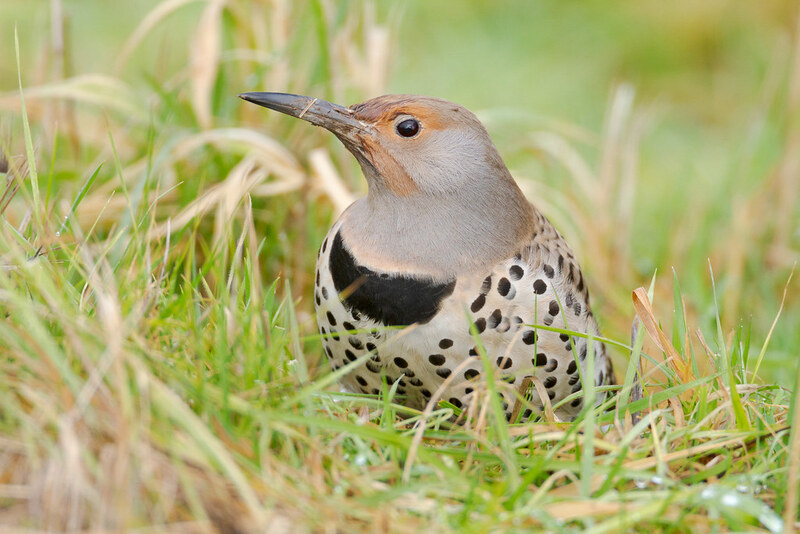 A female northern flicker searches for breakfast in a meadow on a rainy winter morning at Ridgefield in 2012. Given its widespread distribution across my country I wrongly assumed this would be the flicker I’d see most often in Arizona, but so far I’ve only seen the gilded flicker. To be fair I’ve only hiked in the desert, perhaps we’ll be reunited when I visit the forests. The two flickers are quite similar both in appearance and call, so in a way it feels like we were never separated. 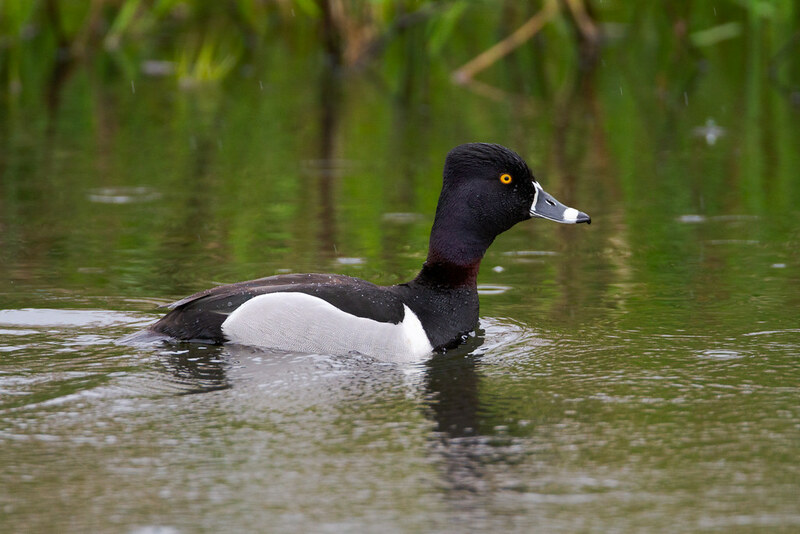 A male ring-necked duck shows off the ring for which he is named on a rainy spring morning at Ridgefield National Wildlife Refuge. The picture is from 2011, before I started saving GPS tracks on every visit, and I can’t remember where on the refuge I took the picture. 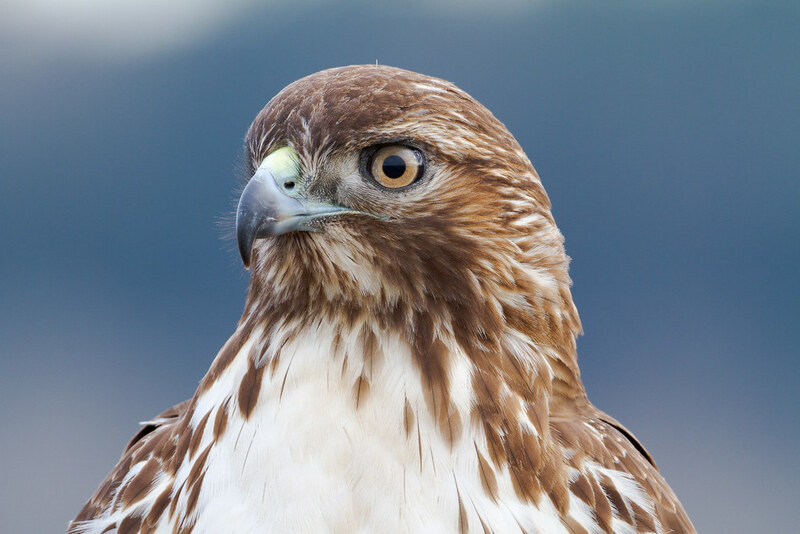 There was a period of time at Ridgefield where I came across what I called Hawk-on-a-Stick, juvenile red-tailed hawks perched on signs around the large meadow that would allow me to view them from close range. 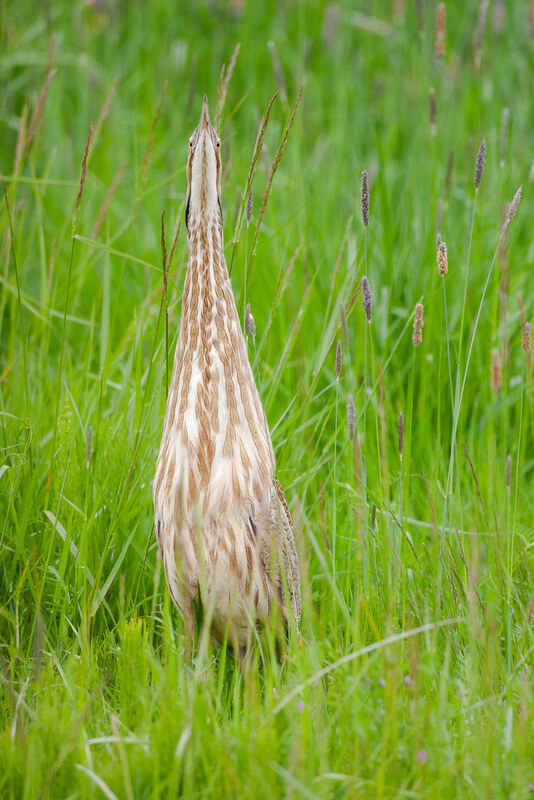 They didn’t often look directly look at me, which was a good thing, as it meant they were comfortable with me and on the lookout either for voles in the meadow or older redtails that might chase them away.